Chrome accessories are a nice way to accent your vehicle's style and with Stampede chrome window deflectors, you can add extra shine as well as function to your truck or SUV. The chrome finish matches literally any color out there including factory trim as well as aftermarket chrome accessories. Chrome deflectors from Stampede are made from high quality acrylic that won't chip or crack as easily as other brands do. They allow you to cruise with your window open, stopping rain, snow and sleet from entering your cab. At the same time, give you the fresh air needed to have a comfortable driving experience. 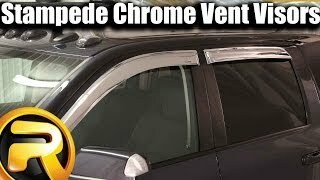 You can mount these side window deflectors without any hassle since they just tape onto the perimeter and follow the contour of your windows. 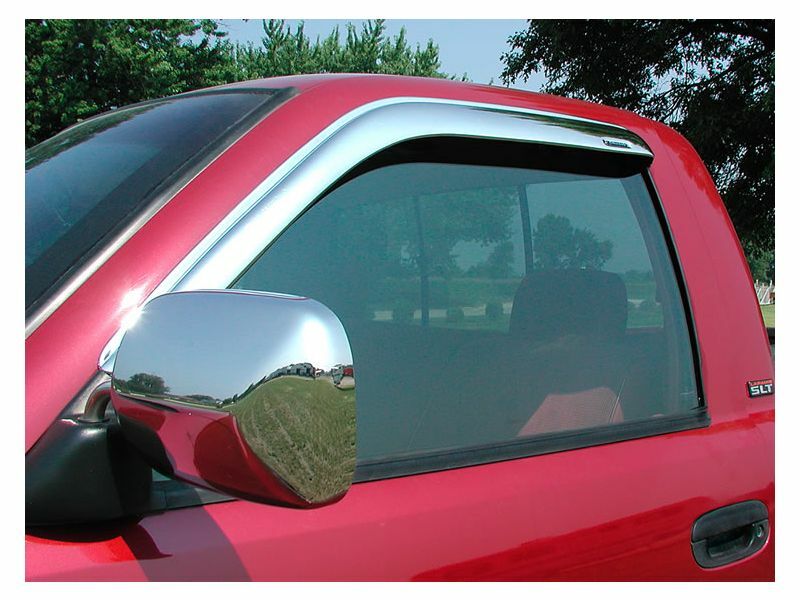 Stampede chrome window deflectors allow you to beat Mother Nature and make your truck or SUV look cooler at the same time. Stampede is offering one year warranty against defects in materials or workmanship on the chrome rain guards.